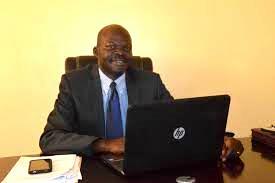 The Deputy Vice Chancellor of Lira University Professor Samuel Opio Okaka Dokotum has appealed to young people to discover their potentials early enough in order to to be successful in their future through education. Professor Okaka was speaking at a dedication prayers of Comboni college where is also and Old Student. He pledged maximum contribution to ensure that Comboni College regains its past glory of academic excellence. The dedication prayer which was also part of the celebrations of the feast of Blessed Daniel Comboni, was preceded with a holy Mass presided over by the Bishop of Lira Diocese bishop Rt. Rev. Joseph Franzeli. In his homily, the Bishop called upon the candidates to emulate Blessed Daniel Comboni’s best practices of being a good followers of Christ’s teaching. He said Uganda will be a better country if the people deviate from the practice of corruption, discrimination and all other forms of injustices. The Bishop also appreciated the contribution of the Old Boys of the school, saying they are doing a tremendous work to bring the school to back to its glory. The function was attended by over 20 Comboni missionary priests from abroad and within the diocese.